In this post , I will tell you how to make your own Boot Logo. But first I will tell you all what exactly Boot Logo is. What is Boot Logo ? Boot Logo is the first thing that is displayed on the screen when your phone reboots. It appears before Boot Animation. This Boot Logo usually contains company's name or logo in case of stock rom. For example our Spice Mi-535 boot logo appears like this. You can use logo.bin of any Mediatek ROM. Copy the logo.bin to the desktop. 1. 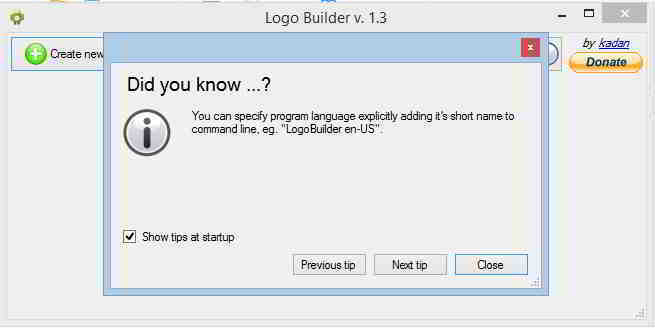 After downloading the Logo builder tool , copy it to your desktop and then extract it. After extracting you will see like this. 2. 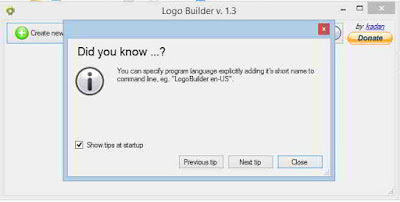 Now open the Logo Builder tool by clicking on Logo Builder.exe ( Logo in green colour ). Then you will see like this. Click on Close. 3. Now select Create new project. Now select the logo.bin that you have copied to your computer's desktop. Now select Make New Folder . Make new folder on desktop. Give it any name. I have given "Logo Extracted". Then select OK . After this some process will take place. Don't interrupt it. 4. 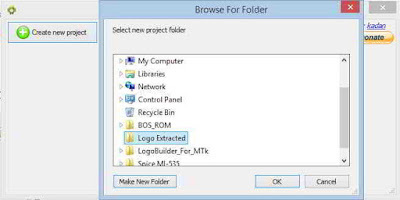 After the process gets completed , go to your computer's desktop and open the new folder that you have made in the previous step ( "Logo Extracted" in my case ). In that folder you will see many images. Do not close the Logo Builder Tool. 5. Now make your desired Boot Logo image using any Photo Editor Tool (like Paint , Photoshop). The pixels or the dimension of your Boot Logo image should be same as your screen resolution. As in the case of Spice Mi-535 ( 960 [length] X 540 [breath] ). Save your Boot Logo image in "png" format. 6. Now Create Two copies of your Boot logo Image and name them img1.png and img39.png. 7. Now open the folder that you have made on the desktop ( "Logo Extracted" in my case ) that contains many images. Now replace the images img1.png and img39.png inside this folder with the images that you have made. Now again go to the Logo Builder Tool. Your images should be updated. You will see the images that you have made. 8. Now in the Logo Builder Tool , select "Make" . Some process will take place. Again don't interrupt. When the process gets completed , you will see one new window in which something like this is written ( Take your update.zip in ..... ). 9. Now go to the folder that you have made on desktop ( "Logo Extracted" in my case ). Open that folder. You will see a zip file having name update.zip. 10. Done , Congrats you have made your own Boot logo. Now copy this zip file in your sd card or Internal Memory and flash this zip file through any Custom Recovery ( TWRP or CWM ). You will see your own Boot Logo when phone reboots.